pregnancy – safe exercises ?? PHOTOS of a pregnant Michelle Bridges doing crunches sends the wrong message to pregnant mums, physiotherapists warn. Women’s health physiotherapist Vanea Atwood, said Bridges advocated many good things about fitness but admitted crunches while pregnant was concerning. “It does have a huge effect. Michelle Bridges has a great following. She’s got some really positive, fantastic fitness things to offer women to empower them to become stronger and healthier,” she said. Atwood said women should consult a Women’s Health Physio on how to best train their abdominals and to prepare for labour. This time is one of the most important and physically challenging times in your whole life. It is vital that you prepare and stay as healthy and as fit as possible during these 40 weeks! It is NOT enough to just modify your present fitness program. Specific strengthening and stretching pregnancy exercises are vital, especially in today’s sedentary work environment to prepare for childbirth. 40 weeks to prepare…..average length of labour 12 hours…what do you need! 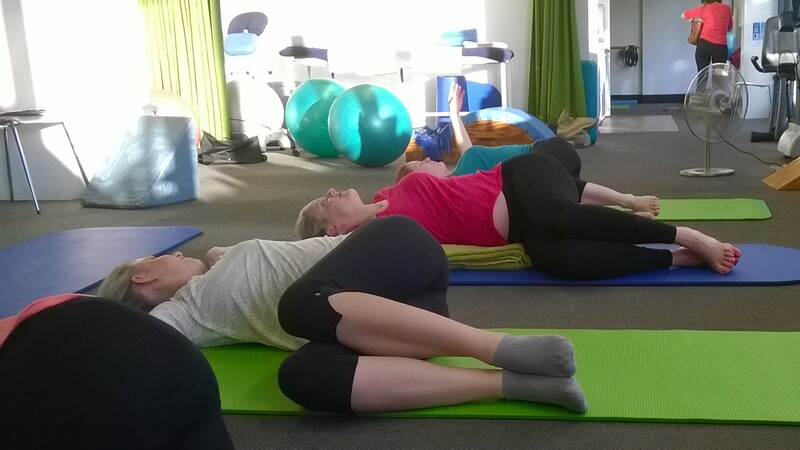 Make an appointment today at our Northbridge practice If you would like to join in a pre-natal Pilates ‘Mums and Bumps” class. You can also see me at the Wynyard /city Sports Focus Physiotherapy or Northbridge Sports Focus Physiotherapy rooms for an assessment and advice on your levels of exercise.